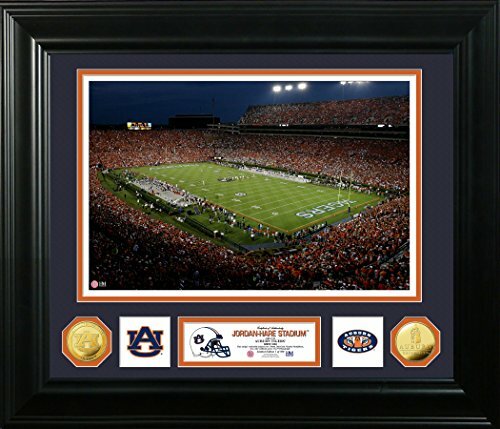 The Highland Mint features a 13"x 19" photo of the Auburn Tigers Jordan-Hare Stadium in a 24"x30" frame with 3" wide custom Molding and triple matting with 2 minted and gold flashed University commemorative coins and die cut school logos. An individually numbered certificate of authenticity matted between the coins and school logos. Limited Edition of 500 and Officially Licensed by CLC. Proudly made in the USA by The Highland Mint.